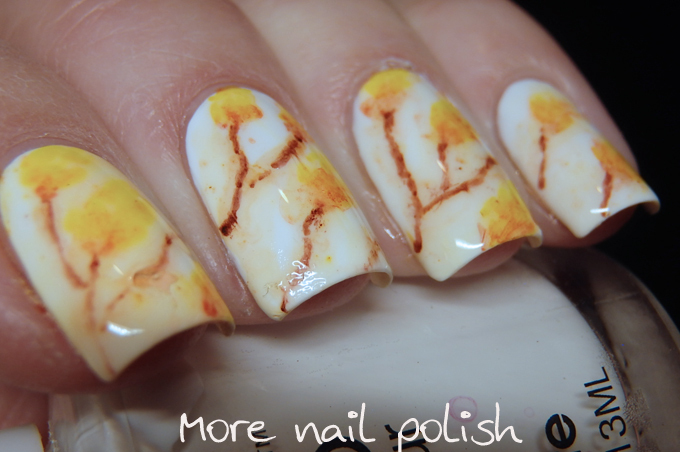 Digital Dozen week is finished by it's straight into another challenge mani. 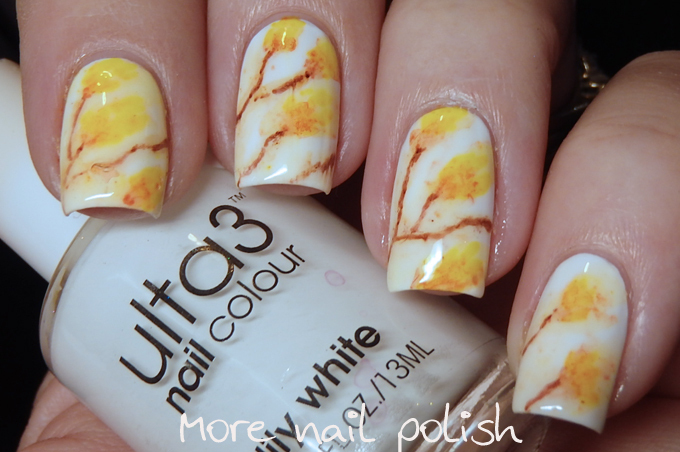 This week for the 40 Great Nail Art ideas the theme is Orange and my personal prompt is water colour. I can't believe there is only 6 weeks left in this year long challenge. 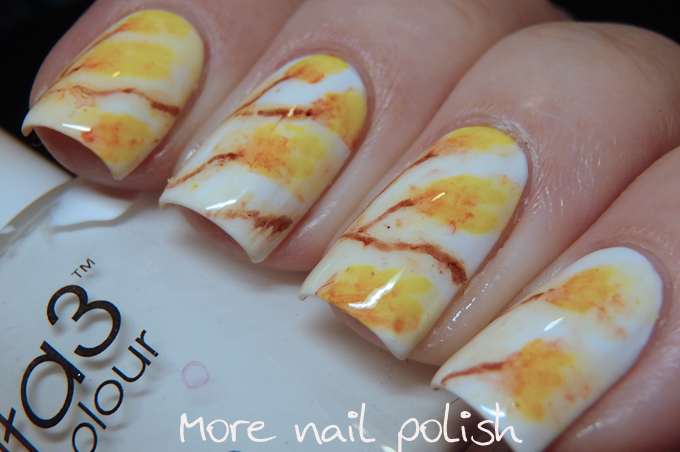 This mani was a bit rushed, and ended up more yellow than orange. I used the sharpie and isopropyl alcohol water colour technique and I promise that I only used orange sharpies, but obviously some of the oranges have very yellow undertones. 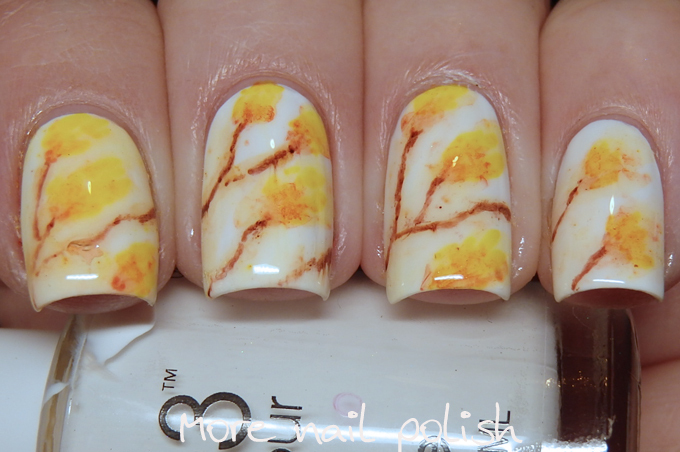 I was going for a water coloured orange blossom, but I'm not sure if I hit the mark here or not. This is such a unique and cool look!